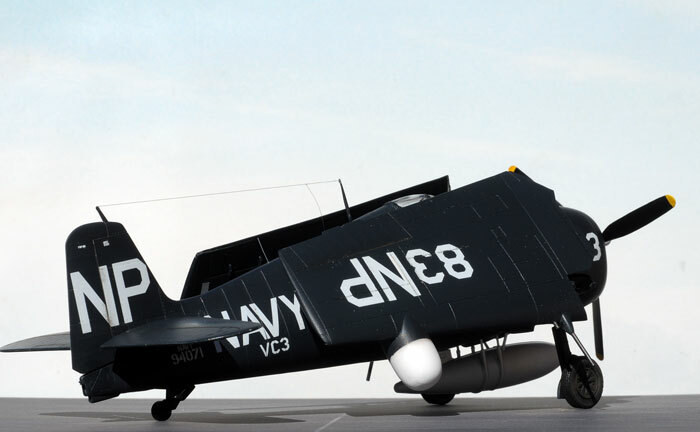 Here is my Hasegawa 1/48 scale F6F-5N Hellcat Night Fighter. 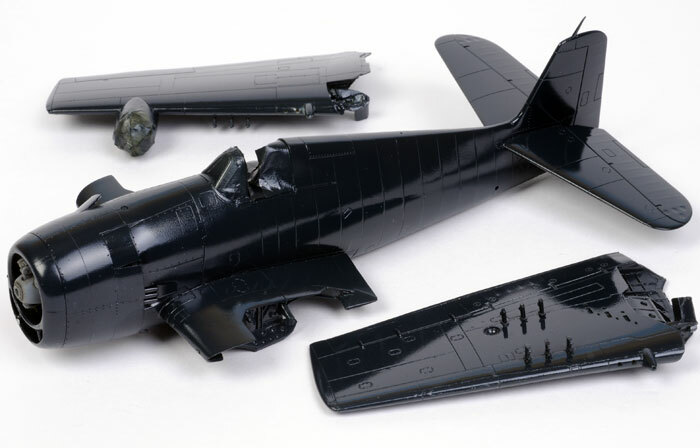 The Dangerboy resin wing fold and the Quickboost corrected cowl were used for this project. I am not usually an enamel person, but this time I decided to use Testor's Model Master enamel from the spray can for the Sea Blue. I decanted paint from the can into a jar, then applied the paint using my Aztek A470 airbrush. The model was finished in a coat of Polly Scale Flat acrylic to tone down the high level of gloss (although, in retrospect, I wish that I had retained the high sheen). 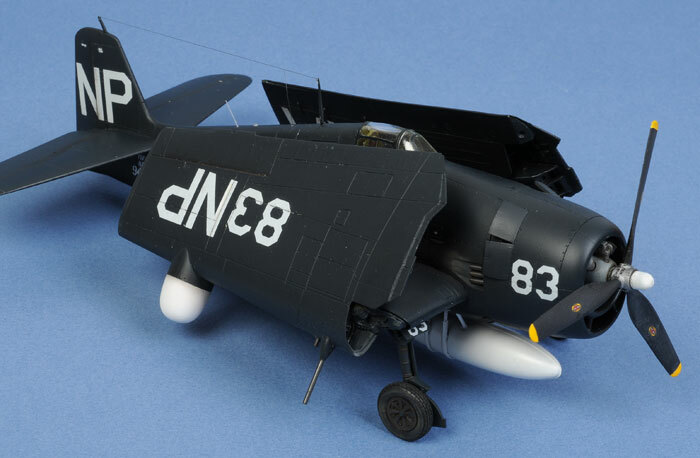 My Hasegawa F6F-5N will feature in the next HyperScale Resoure Guide on building the Hellcat in 1/48 scale.